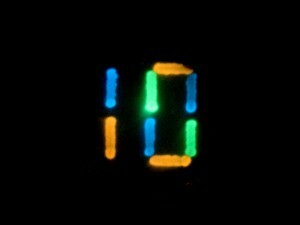 Over the summer we asked for contributions from our readers for the cover of our tenth anniversary issue. 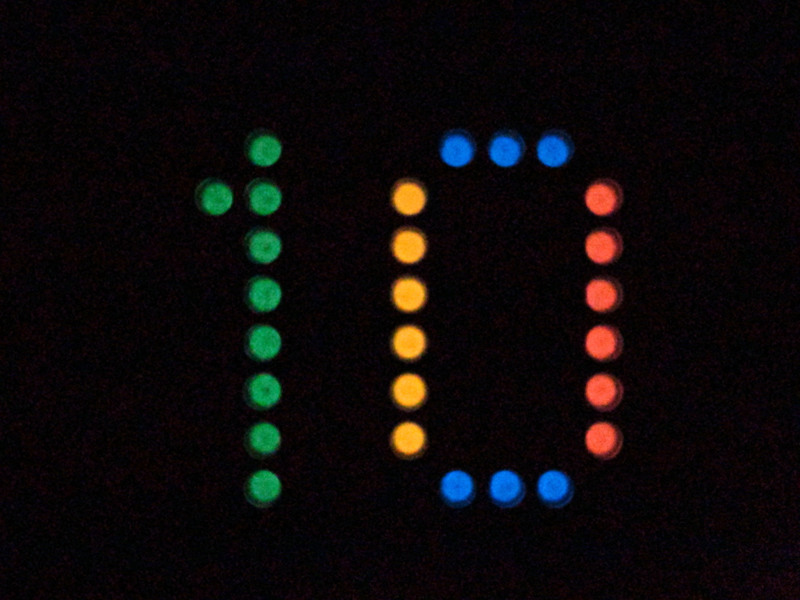 We asked for images of the number “10” made using biological research tools and techniques. We were delighted to have many excellent submissions and to be able to use them all on the cover. Here is a bit more detail about these images. 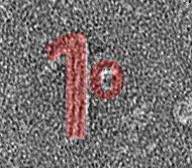 Yonggang Ke at Georgia Institute of Technology and Emory University sent us an image of DNA nanostructures. 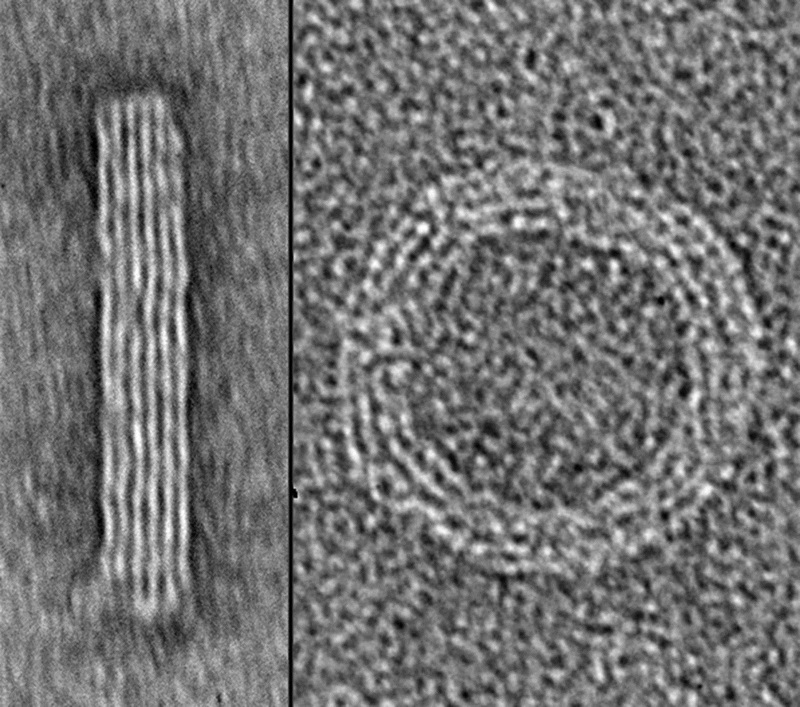 Ke and colleagues used DNA origami to generate two self-assembled 3D nanostructures, imaged them with transmission electron microscopy, and then assembled the images to form the number 10. 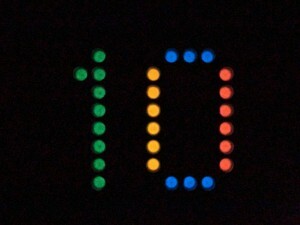 The height of the final image is 120 nm. Alan Shaw and Björn Högberg at Karolinska Institutet also applied nanotechnology to the challenge. 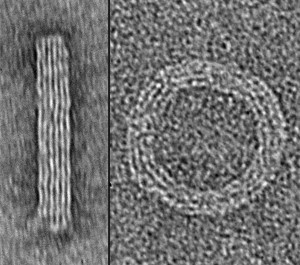 Building on their recently published Nanocalipers technique (Shaw et al, 2014) they displayed a ferritin protein as the “0” (instead of ephrin as in their published paper) and use DNA origami to generate a nanostructure in the form of a “1”. Sandra Duffy at Griffith University based her image on indicators of cell viability. 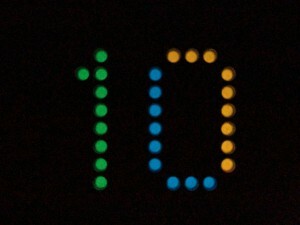 Cytotoxic compounds were added to mammalian cells in a 384-well microtiter plate, either in the shape of a 10 in one half of the plate, or to all wells outside the shape of a 10 in the other half of the plate. After incubation, a cell viability marker (resazurin) was added to the wells. Viable cells convert the blue reagent to red, and the image was taken with a simple point-and-shoot camera. Akira Takai, Yasushi Okada, Masahiro Nakano and Takeharu Nagai, at Osaka University, used multicolour luminescent reporters to write the number 10, either by expressing them in bacterial cells streaked on an agar plate, or by aliquoting them in purified form in a 96-well plate. 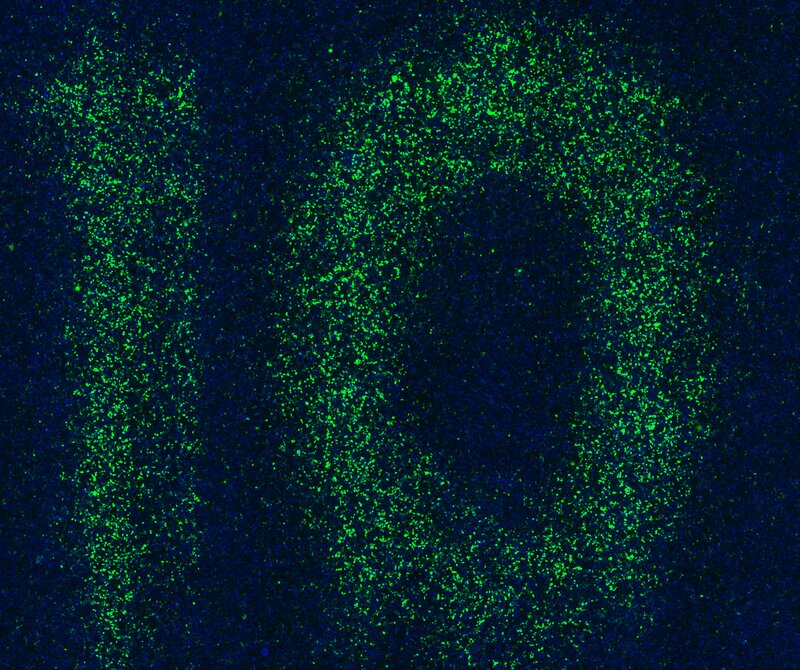 Lauren Polstein and Charles Gersbach at Duke University used light-sensitive transcriptional activators to photoactivate a GFP reporter in mammalian cells in the shape of the number 10. Navneet Dogra and T. Kyle Vanderlick at Yale University examined bacteria stained with fluorescein (green) interacting with small unilamellar vesicles labeled in red. They used a laser to photobleach all fluorescence except that in the desired shape of the number 10. Image to come. 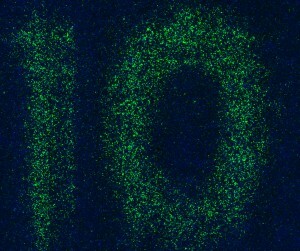 Finally, Kristina Woodruff and Sebastian Maerkl at EPFL used a standard microarrayer to spot live mammalian cells onto a 675-well array in the shape of a 10 (Woodruff et al, 2013). 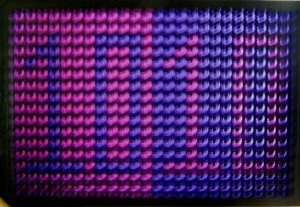 Image to come. We are very grateful to all contributors – thank you for helping us design a cover that salutes the creativity and ingenuity of methods developers!